Dashboard lets you quickly see where your time goes and what your team is working on. Each person get a personalized dashboard that shows a breadown of the time they’ve tracked. You can also see all your activities in a given period and how much time you’ve spent on each one. By default, you see your top 10 activities, but you can choose to see all the unique activities you’ve worked on. If you’re not a workspace admin and “Who can see billable rates” is set to Admins only in the Workspace Settings, billable amounts are not shown. 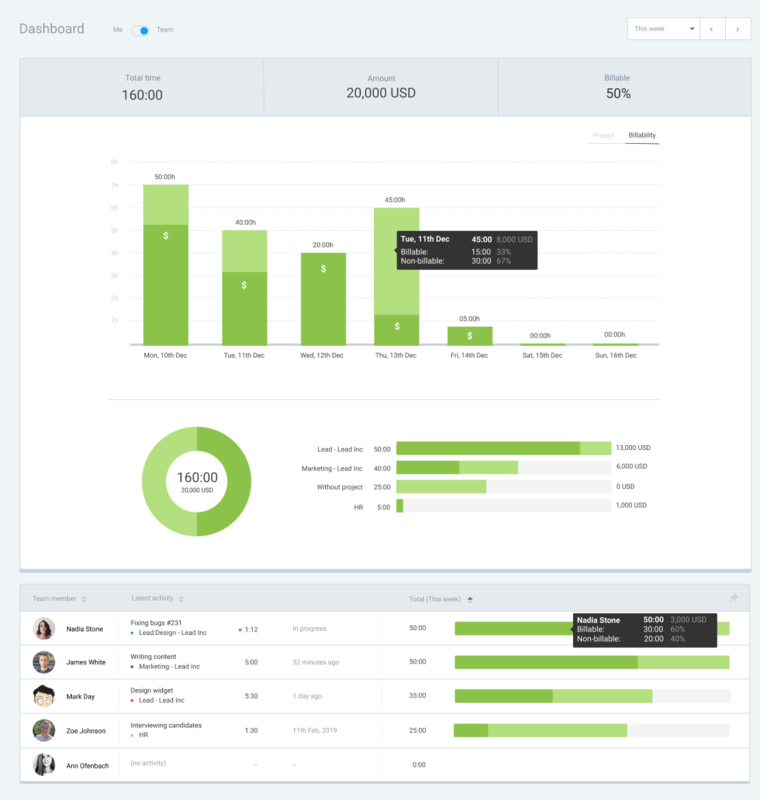 Team Dashboard shows a breakdown of all the activity in your workspace. It shows the total amount of tracked time in your workspace, as well as what your team is working on. You can switch between your personal and team dashboard by clicking on the Me/Team switch at the top of the page. If you wish to see team activity table at the top of the page each time you open Team Dashboard, you can click on the “Pin to top” icon, which is located in the upper right corner of the table. Team Dashboard lists all the active workspace members. Users who are made inactive are deleted from the workspace are not shown. You can sort the table either by total tracked time (to see who tracked the most time) or by latest activity (to see who’s currently active at the top). Workspace owner and admins can see everything (time and financials). 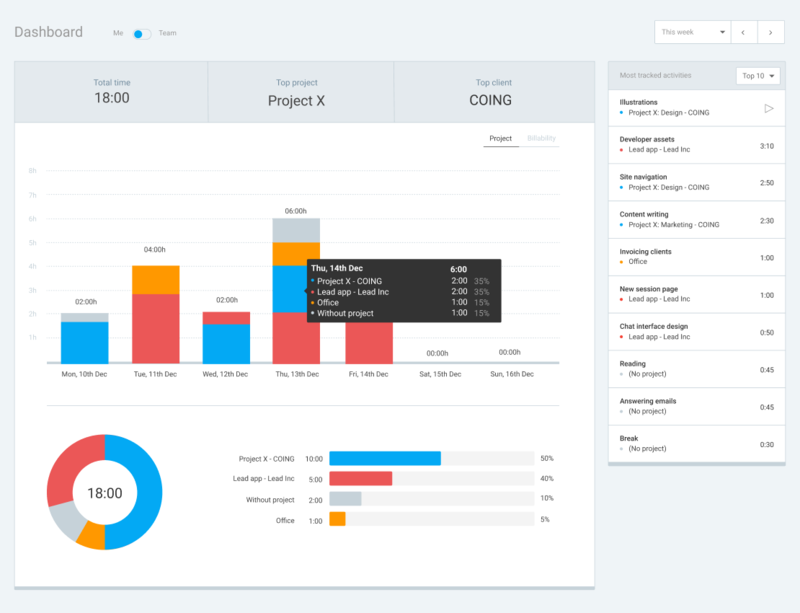 Project managers can see all time tracked on their projects.